Why steady-state runs are breaking our soldiers. In recent years it has been recognised that an over-reliance on steady state running can lead to an increased occurrence in musculoskeletal injuries (MSKIs) with limited physiological benefit. Nevertheless, across the Army steady state runs often become the ‘default option’ for Physical Training, in addition to a mix of circuit training and loaded marches. While this type of training provides some physiological benefit to our soldiers, it is neither the most efficient way to develop the ‘Soldier as a platform’ nor to look after a Soldier’s body for time in service and beyond. With deployability figures and manning levels still shy of Army targets it is more important than ever that we get this right. An internal study conducted over 18 months in an Infantry Battalion (with slightly better than average deployability statistics) showed that 66% of all MSKIs in that Battalion were due to mechanical overuse. The remaining 34% were due to traumatic causes, such as ankle inversions or accidents. Of those patients with mechanical injuries, 19% presented with lower back pain, 25% with a knee injury/pain and 28.5% with other lower limb injuries – shin splints, Achilles pain etc. The remaining 27.5% presented with upper back, shoulder, and upper limb injuries. The British Army recognises 7 causes of MSKI, I’d like to focus on 2 that are pertinent to trained soldiers. First, when conducting steady-state running in a group of mixed ability, the fittest soldiers will receive little benefit, while the least fit in the group will spend too long at or above their anaerobic threshold to be of physiological value. While a few will be ‘in zone’ to improve their fitness, this is not an efficient use of time and the majority of soldiers will be causing unnecessary joint wear for relatively little gains. Studies have shown that repetitive, submaximal loading causes knee cartilage and spinal disks to dehydrate and compress. In contrast these inert and vulnerable structures have been shown to benefit from structured resistance-based training. Secondly, soldiers who do perform their own strength and conditioning programs outside organised PT often have a tendency to favour ‘beach weights’ thus over developing the pectorals, anterior deltoid and biceps over the posterior chain. This often results in ‘lifter’s shoulder’ where the lack of balance in the most complex joint system in the body causes shoulder pain. A PT program that relies upon steady state running, loaded marches and circuit training (consisting of low weight-high rep exercises) neglects up to 8 of the 10 components of fitness described by the Army’s own PT instruction, AGAI 007. The result is inactive glutes, imbalanced scapulae, short hamstrings and general musculoskeletal imbalances which cause joint pain or MSKI. While steady state runs and loaded marches have their place in a unit PT program, they cannot be relied upon as the principal means of fitness training. Likewise traditional circuit training does not fully stimulate muscular development. We can do better. I believe that there are 4 different lines of effort that will make a huge difference, over time, to our deployability and performance. Firstly minimise ‘junk miles’ as much as possible. Every mile a Soldier runs or marches must completed for a specified intended outcome and not for the sake of going for a run. Running sessions should be streamed by ability where possible to maximise the benefit to the group. Secondly we need to increase strength training. This means proper strength training, not doing deadlifts and squats with 25kg power bags but lifting barbells loaded with bodyweight plus and grounded in good technique. Stronger kinetic chains lead to greater stride length and cadence, effectively allowing an individual to cover greater distance with less effort at speed. Increasing maximal strength also improves resilience to injury by reducing tactical loads to a smaller proportion of the soldier’s maximum force. In addition, tendons respond by increasing stiffness and cell structure durability resulting in becoming less prone to injury. The hormonal benefits of strength training also increase performance in several other components of fitness. Thirdly high intensity interval training has been shown to burn more calories per minute than steady state training, but has the added benefits of being easier on the joints as well as improving muscular strength and both aerobic and anaerobic capacity to a much higher degree. Finally improving fitness education is vital. Basic training should include coaching in the big functional lifts; squat, deadlift and reverse lunge, as well as the use of compression clothing, foam rollers, nutrition, and mobility and recovery techniques. All soldiers and officers should have the mindset of a tactical athlete, constantly striving to maximise performance of themselves and their subordinates year-round, including whilst deployed on operations and exercises. A system already exists that incorporates all of the issues discussed here. The British Army Warrior Fitness (BAWF) competition is a perfect example of the methodology required for optimum performance and is rightly recognised as the correct means to test all of the components of fitness without resorting to some of the more extreme methods used in similar civilian training systems. If the type of training tested in BAWF became the staple of the Army’s PT programming I believe that, in time, we would only see benefits to performance and deployability across the force. Executing this change is not simple, strength equipment costs money and will always be a limiting factor, but scheduling training at time other than just routinely at 0800hrs can mitigate this, increasing the experience of PT Instructors and leaders so that they are capable of delivering this type of training will also take time, but failing to try is failing our soldiers. Lastly, the leadership within any Unit needs to be prepared to change their mindset from the focus of their experience (i.e. runs and loaded marches) to follow the evidence and support their specialist staff who can drastically enhance the deployability of the Soldiers that they lead and improve their lives well into the future. Josh has 9 years of Infantry leadership experience. 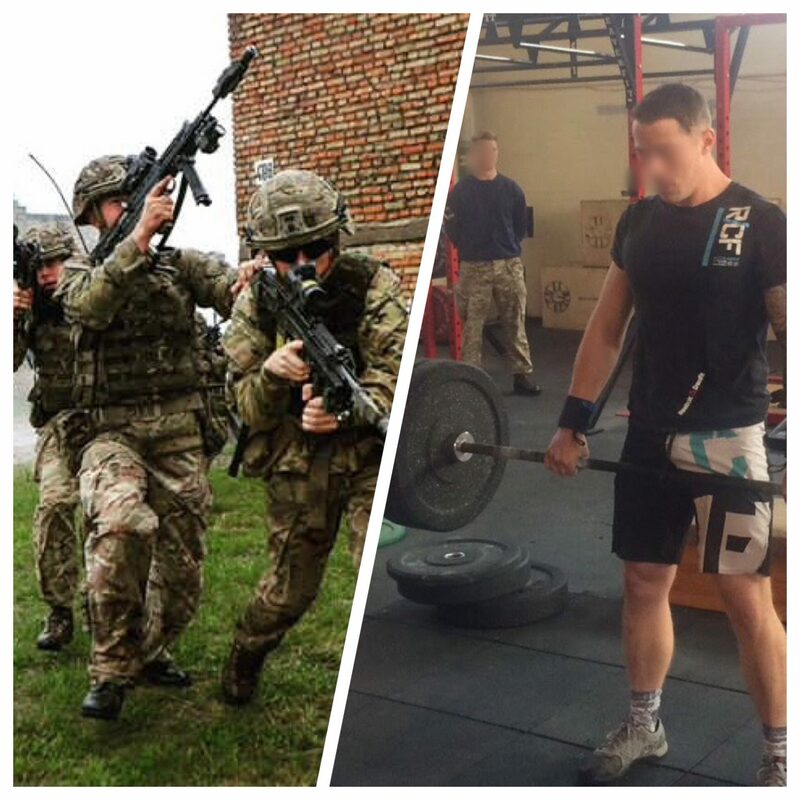 He is a British Army Warrior Fitness finalist, a member of the 300 Club and an Iron Major record holder. He Co-Wrote this article with Mike, an Exercise Rehabilitation Instructor, conditioning specialist and speed development coach who has 4 years experience working with infantry soldiers.